YouTube - You often see videos about reptile breeding success. In this video, Garrett Hartle of Reach Out Reptiles shares his failure with removing a clutch of snake eggs. When a female albino super dwarf reticulated python lays her clutch a few months ahead of schedule, Garrett did not have time to provide her the proper nutritional boost required for a small snake to produce a large clutch of eggs. The result was devastating. Many eggs were infertile, and while pulling the clutch away from the mother to place it in the incubator, three of the weak-shelled eggs burst open, leaking fluids onto all of the remaining good eggs. It will be a long three-month wait to see if he was able to save any of the eggs. 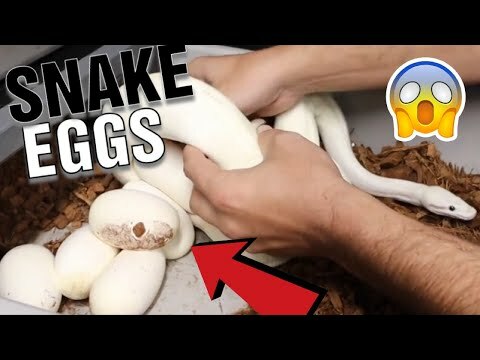 YouTube - Always Evolving Pythons collects a clutch of eggs from a ball python with special guest Adam from Beach Bum Xotics. 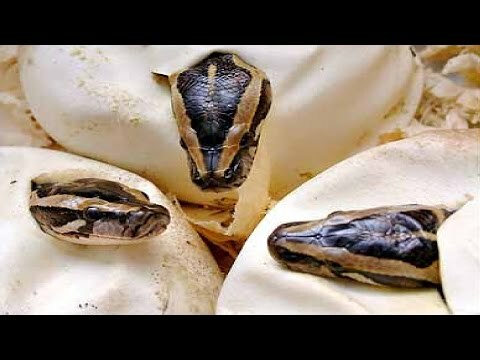 YouTube - Denver of K Brothers Pythons gives us a quick run down on how to remove freshly laid python eggs from the mother for artificial incubation. BurmJunkies.com - A member shares a video on how to remove eggs from a protective Burmese mamma.